We offer a 5 year warranty with every new A/C unit purchased (excluding pumps). The first 6 months, we will pay shipping both ways (to and from the factory) for units being serviced. After those 6 months, the customer pays the shipping fees to get the unit TO the factory and we cover the shipping fees BACK to the customer for the warranty period. 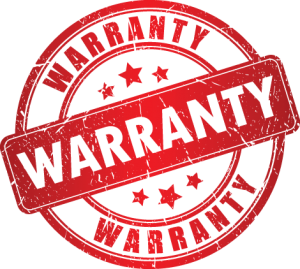 The warranty covers defects in materials and workmanship for 5 years from the date the unit is purchased. Unfortunately, we DO NOT cover labor reimbursement, so please be sure to send in your unit to be repaired at our factory. Our A/C Pumps, Thermostats, and Dehumidifiers carry a 1-year warranty. First and foremost, detail exactly what the product is doing. Next, please call our factory and ask to speak to one of our technicians. Our phone number is 888-908-9280 (International customers can call 941-347-4920). You may also reach us via the contact page here. We have technicians available Monday through Thursday, 8 am to 4:30 pm. Friday’s 8 am to 3:30 pm, Eastern Standard Time. Unfortunately we do not have technician support on the weekends or holidays. Having explained the issue to one of our technicians, they will suggest a course of action to isolate the problem and eliminate the issue. If necessary, we may have the product returned to the factory for service. FOR AIR CONDITIONERS: after disconnecting the hoses from the unit, using a barb to bar hose connector, connect the two ends of the hose to each other to preclude any water from entering the boat. Remove the unit from your boat and carefully package the unit, tag or place your name, phone number and a breif description of your problem with the unit. This is necessary because from time to time, shipping damages may preclude us from identifying the unit from markings on the outside of the box. Please send your electric box as well! As you understand from the Warranty, it is your responsibility to pay freight to get the unit and electric box back to the factory if the unit is more than 6 months old. Upon our determination of needing the unit back at the factory, we will offer you two choices for handling the shipment back to our factory. The first is called an ‘Authorized Return Service’ (ARS). This program includes a pre-paid label to be sent with your return box. This fee varies for each unit, which all ships via FedEx. The label is placed over the one used to send you the box. Once the unit is packaged and the label is placed on the box, either give to your FedEx representative, take the box to the closest FedEx location or call FedEx and they will pick the box up. If you utilize the program of calling FedEx, they may charge and collect an additional $10.00 for this service; this is out of our control. Please utilize what program works best for you. For your convenience, the ‘ARS’ program includes Pre-Paid Insurance on the unit. The second shipping option is to simply package the unit in the box we provide and use any other carrier of your choice to send the product back to us. However, please be sure to ‘INSURE” the package as we are not responsible for any damage to the unit while in transit to our factory. You may save a few dollars, and more importantly, time, by taking the unit to FedEx or a FedEx shipper yourself. Please be sure to ‘INSURE’ the unit. We are not responsible for damage in shipping. We always ship our units with the full insurance. We generally repair 90% of units within 24 hours of arrival at our factory and all units are repaired within 48 hours of arrival. All repair costs, replacement parts, labor, etc. are at our expense. We ensure the unit is refurbished to 100% of original factory specifications. We will ship the unit back to you at our cost via FedEx Ground, as stated in our Warranty. Repair Issues? Units beyond warranty or out of warranty? Same procedure as above to get the unit to us. Remember to INSURE the unit. We cannot be responsible for damage to a unit in transit. We will evaluate the unit and provide a repair estimate for you. Upon your approval, we will refurbish the unit to original factory specifications, at the very least. From time to time, we change vendors, parts, etc. to continuously prove the reliability of our product. 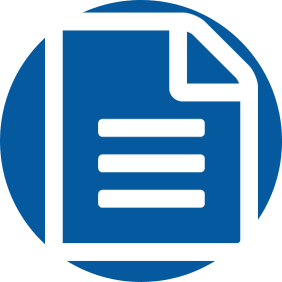 When your unit is returned, cosmetic aspects of your unit may be different, but we guarantee that it meets or exceeds original factory specifications. For Mermaid’s additional product lines, please contact the factory as stated above, indicate the issues related to the product to one of Mermaid’s factory trained technicians and they will recommend the best course of action. Again, each unit is supported by Mermaid Manufacturing of Southwest Florida, Inc.
Should any of these additional products need to be returned to the factory, the procedures above are followed. At no time will Mermaid pay for removal and re-installation of the product. Our warranty covers the parts, in-house labor and transportation of the product. If you have any additional questions regarding our Warranty Policy, please do not hesitate to contact us via phone or contact form.